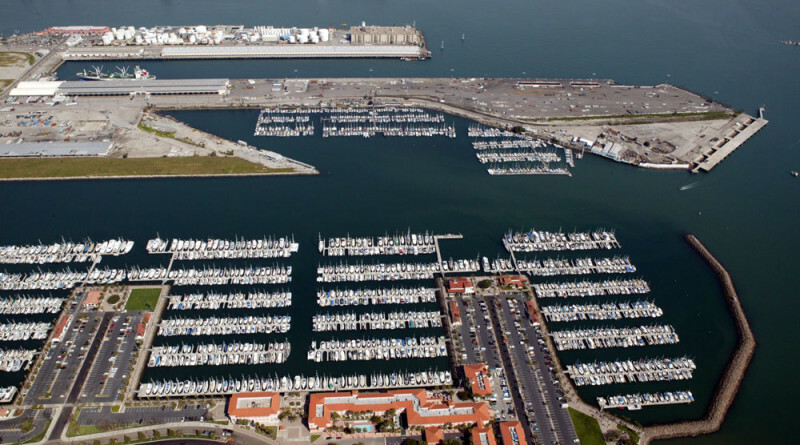 SAN PEDRO — Boaters in San Pedro joined their counterparts in Huntington Harbour earlier this month in losing a fuel dock. The fuel docks in Huntington Harbour and San Pedro shut down within one month of each other. Cabrillo Marine Fuel Dock reportedly stopped filling up vessels on Nov. 1. No contingency plans were in place to give boaters at either harbor an option to continue fueling their vessel without having to navigate to another city or on-land gas station. Tom Barrett, who lives aboard a sailboat in Wilmington, said he worked at the fuel dock for 12 years. He was shocked when operators said the fuel dock went dry. Recreational boaters who do not want to compete with large shipping vessels when fueling up in L.A. Harbor’s main channel can navigate to fuel up at the next closest dock — in Long Beach. Jack Boyt operated Cabrillo Marine Fuel Dock just before its closure. He said every effort was made to keep the dock operational but meeting code compliance became increasingly burdensome and costs to keep the fuel tanks up to date started to become cumbersome. “The tanks in the ground here are 30 years old and the lease with the port is coming up at the end of this year,” Boyt said, adding $14,000 has already been spent to make necessary upgrades to the fuel tanks. Recovering $14,000 from fuel revenues at the low point of the recreational boating season was not a realistic endeavor, according to Boyt. Shutting down the fuel dock just ahead of the lease expiration made the most financial sense. “This is a very tough business to run in California,” he said. Boyt said he is working on some options with the port. The Port of Los Angeles confirmed the fuel dock’s closure was an economic decision. Sanfield said boaters can refuel at Yankovich, which sells diesel and gasoline, Mike’s on the Main Channel and another dock in Fish Harbor; the docks in the main channel and at Fish Harbor only sell diesel. Vessels used by the Coast Guard and other agencies are expected to fuel up at Yankovich or the two diesel stations, Sanfield said. “The underground tanks at Cabrillo Marine Fuel Dock will be removed since they are about 30 years old. The port is open to another tenant coming into the location to sell fuel after the existing site is cleaned up (tanks removed, etc.). One option may be above-the-ground tanks,” Sanfield added. Boaters are still without a fuel dock a few miles down the coast in Huntington Beach. The dock’s operators announced in the summer they would shut down the fueling station in Huntington Harbour on Oct. 1. The city attempted to intervene and help find a new operator prior to the dock’s closure. However no progress has been made, according to a city spokesperson told The Log just before press time. Whether costs associated with operating fuel docks could become an issue at other stations within Southern California’s harbors and marinas will be a subject The Log will continue to monitor and report.